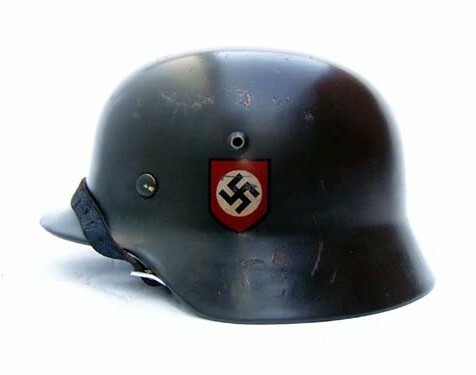 This helmet is similar to the helmet above, but has been painted with a darker shape of apple green. 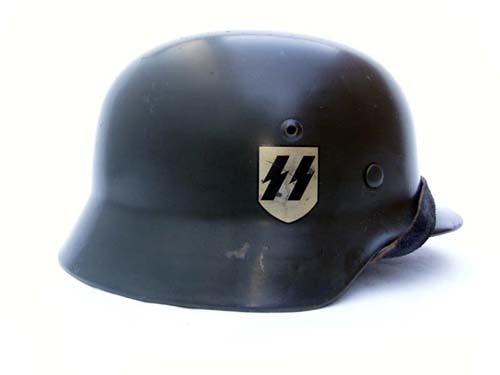 The SS decal is the C.A. Poucher or 1st pattern used briefly by Eisenhuttenwerke in 1939.